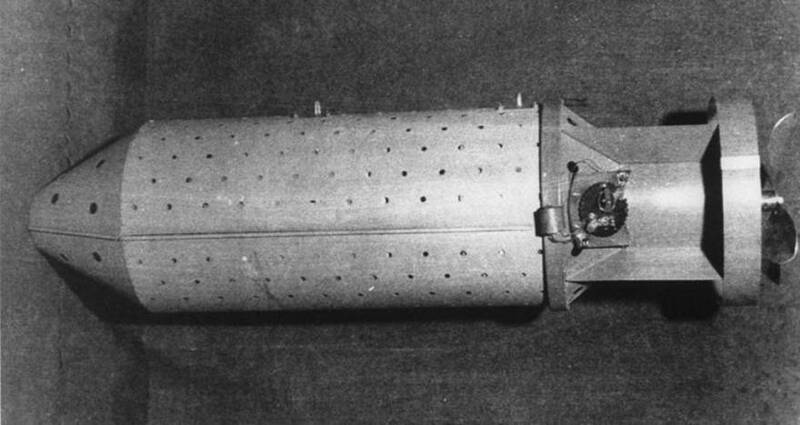 Bat bombs were an experimental World War II weapon developed by the United States. 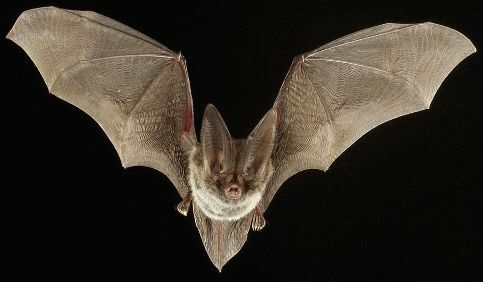 The bomb consisted of a bomb-shaped casing with over a thousand compartments, each containing a hibernating Mexican free-tailed bat with a small, timed incendiary bomb attached. Dropped from a bomber at dawn, the casings would deploy a parachute in mid-flight and open to release the bats, which would then roost in eaves and attics in a 20–40 mile radius. The incendiaries would start fires in inaccessible places in the largely wood and paper constructions of the Japanese cities that were the weapon's intended target. 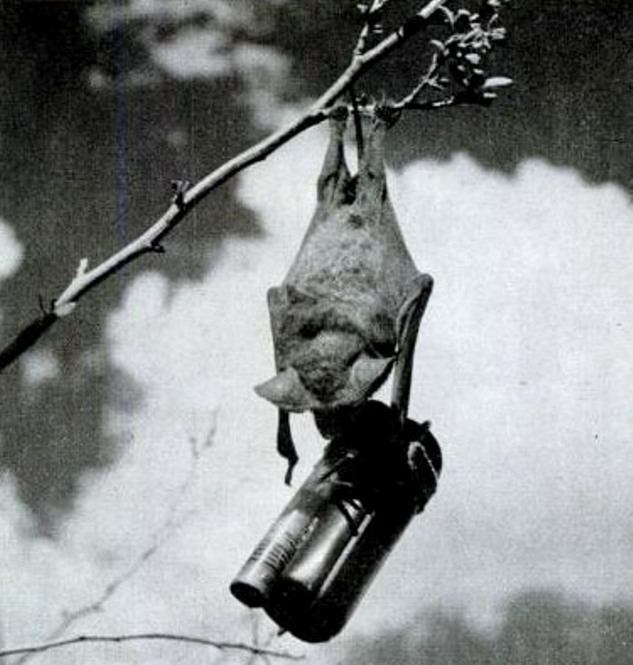 Errant bats from the experimental Bat Bomb project set the Army Air Base in Carlsbad, New Mexico on fire in 1942. Army Air Force image. On December 7, 1941, a Pennsylvania dentist named Lytle S. Adams was on vacation in the southwest at the famed Carlsbad Caverns, home to excellent spelunking and about a million bats. Adams had been particularly impressed with the bats during his time in New Mexico. So when he turned on the radio that infamous day and heard the news that the Japanese had attacked Pearl Harbor, he began plotting a very unusual form of revenge on our World War II enemies. Less than a month later, on January 12, 1942, he sent the White House his plan: We could demolish Japanese cities by strapping tiny incendiary bombs to bats, which they would carry into the all the nooks and crannies of the cities on the island. "Think of thousands of fires breaking out simultaneously over a circle of forty miles in diameter for every bomb dropped," he later recalled. Japan could have been devastated, yet with small loss of life." His proposal was taken up by the National Research Defense Committee, which was in charge of coordinating and investigating research into war-applicable ideas. They forwarded the proposal to one Donald Griffin, who had conducted groundbreaking work on bats' echolocation strategies, as related by Patrick Drumm and Christopher Ovre in this month's American Psychological Association Journal. Griffin, who later became a renowned psychologist who argued that non-human animals also possess consciousness, was quite enthusiastic about the idea. "This proposal seems bizarre and visionary at first glance," he wrote in April 1942, "but extensive experience with experimental biology convinces the writer that if executed competently it would have every chance of success." The President's men followed Griffin's lead. "This man is not a nut. It sounds like a perfectly wild idea but is worth looking into," a Presidential memorandum concluded. And so, just like that, a dentist's crazy idea about bats had become a U.S. government research project. After the team settled on using the Mexican free-tailed bat, Adams took a few to Washington for a demonstration of them carrying a dummy bomb. His superiors were sufficiently impressed that the U.S. Air Force gave authority for investigations to begin in earnest. It was March of 1943. The subject of the letter was, "Test of Method to Scatter Incendiaries." The purpose of the test was listed as, "Determine the feasibility of using bats to carry small incendiary bombs into enemy targets." 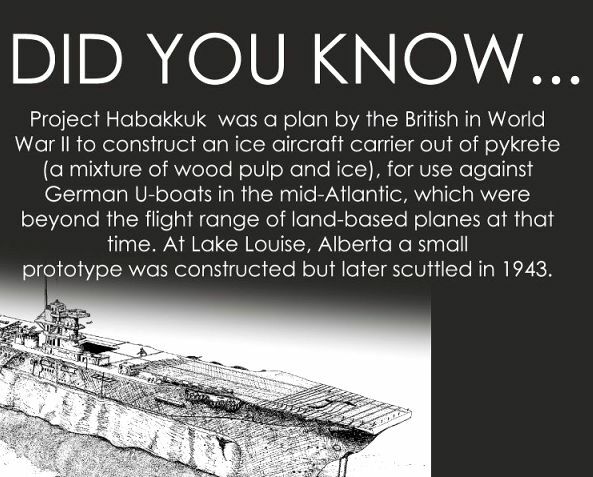 The scheme became known as Project X-Ray. 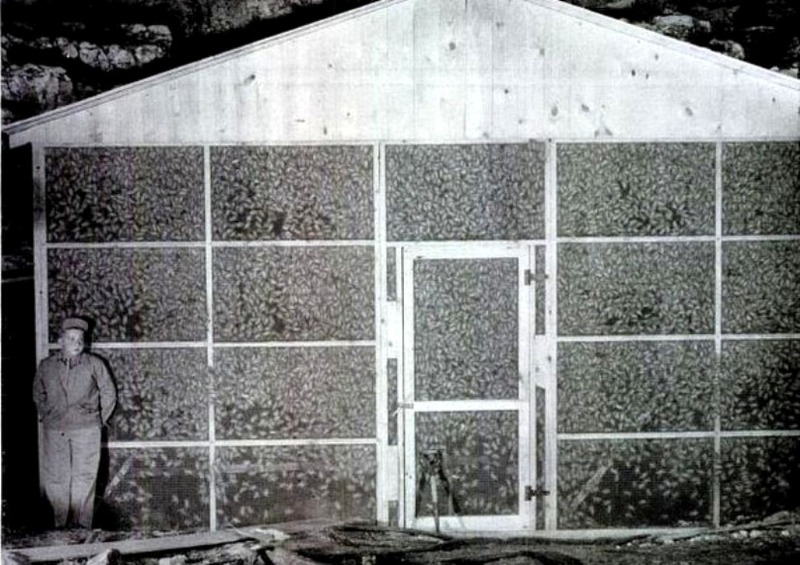 After being transferred to the Army, thousands of bats were captured with nets at caverns around the southwest. Tiny bombs were designed for them. But this was a complex system that was being engineered. The researchers needed to figure out how to transport and deploy the little guys. So they did. First, the bats had to be kept in a hibernating mode while they were shipped. To accomplish this, they were stuck in ice cube trays and cooled. Second, they had to figure out how to release them in midair. A cardboard container was supposed to automatically open and release the bats. This was a real effort that cost science and engineering effort. Unfortunately, real tests did not go as planned. There were all kinds of things that needed to be fine-tuned. 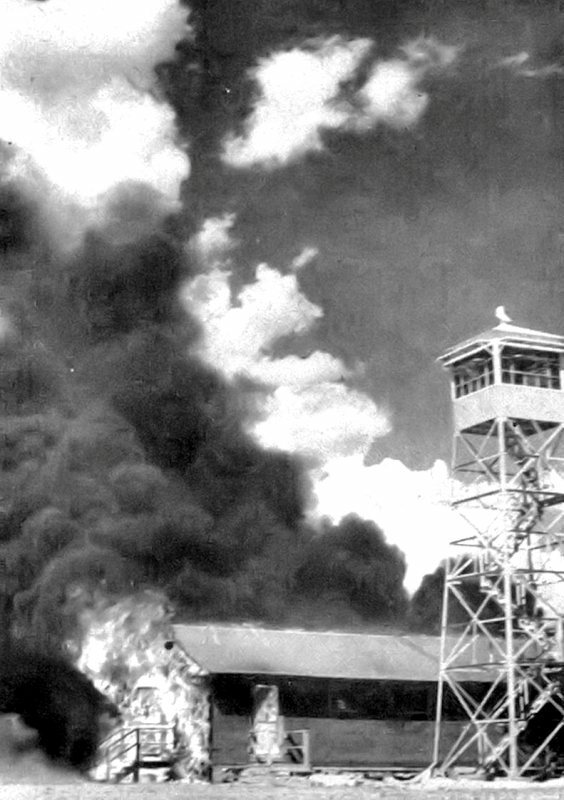 For example, at one point, a few of the loaded incendiary bats were accidentally released, whereupon a hangar and general's car were burned (as you can see in the photo below). Eventually the Marine Corps took over the program and conducted tests beginning in December 1943. After 30 demonstrations and $2 million spent, the project was canceled. Most people believe it's because the U.S. realized that all resources should be concentrated on the development of a far more powerful weapon: the atomic bomb. 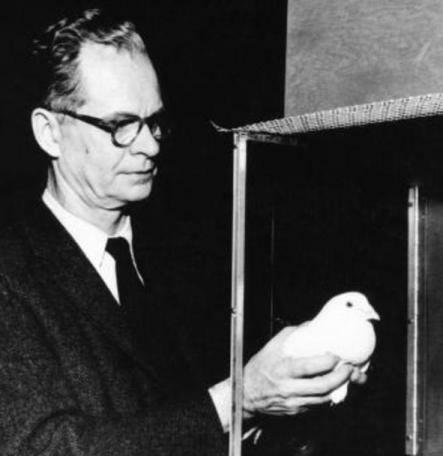 During World War II, psychologist B.F. Skinner received military funding for a seemingly outrageous weapon: a pigeon-guided missile. The famed behaviorist got the idea for his “Bird’s-Eye Bomb” while watching a flock of pigeons in flight. The project that followed was as brilliant as it was weird. After using conditioning to train pigeons to peck at pre-chosen images—an enemy battleship, for instance—Skinner placed the birds inside a specially designed missile nosecone. This tiny cockpit contained a plastic screen that projected an image of the weapon’s flight path. By pecking at the screen, the pigeons could change the missile’s coordinates and effectively “steer” it toward its intended target. Early simulations showed that the birds were ace pilots, and the project won endorsements from physicists and psychologists. Unfortunately for Skinner, the military balked at funding such an outlandish idea. 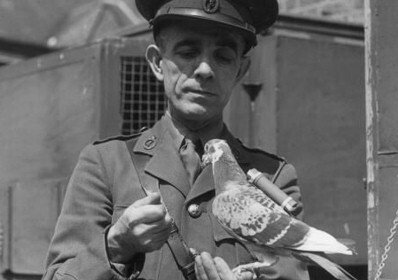 Convinced the kamikaze pigeons would never work in the field, they pulled the plug in October 1944. 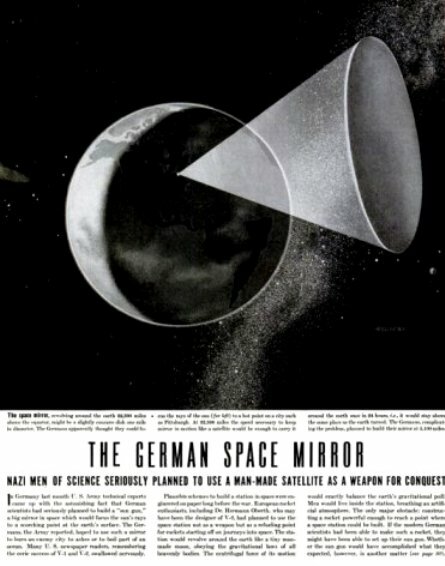 Eminent German rocket scientist Hermann Oberth came up with the space mirror concept, according NASA. Oberth originally intended the space mirror for peaceful purposes such as illuminating ports and thawing frozen rivers, but the concept may have taken on its “Death Star” undertones with the rise of World War II.